This week, we announced our next global conference, to be held in Edinburgh, 16th-18th September 2018. Here we share with you our plans for making it a ‘Patients Included’ event. The ‘Patients Included’ conference charter can be read here. Cochrane Consumer Co-ordinator Richard Morley and Cochrane UK’s Director Martin Burton and Sarah Chapman explain. This blog originally included a pop-up survey inviting your suggestions for making the event a ‘Patients Included’ one. This survey closed in November 2017. Over the past 20 years Cochrane has helped transform the way health decisions are made. Cochrane produce systematic reviews of primary research in human health care and health policy. They are internationally recognized for their quality, occupying a position at the highest level of healthcare evidence. Cochrane evidence is produced and disseminated by an amazing global network, including 37,000 volunteer collaborators – patients, care-givers, researchers and healthcare professionals – bound together by a shared vision for better health. Whether you’re a researcher, healthcare professional, patient, carer, or just passionate about health, the Cochrane community welcomes you. Recent initiatives such as Cochrane Crowd, Task Exchange and the new Cochrane Membership Scheme are expanding the opportunities to participate in Cochrane’s work. Now we have another opportunity. Cochrane UK is organizing the next Cochrane Colloquium, our annual conference, to be held in Edinburgh in September 2018. The theme will be ‘Cochrane for all – better evidence for better health decisions’ and we want this to be an important step in increasing the involvement of patients, carers and family members (healthcare consumers) in our work. “We propose to make the Colloquium 2018 a Patients Included event that is co-designed, co-produced and co-presented with healthcare consumers, an event where everyone’s input is valued equally. We will start by sharing our aspirations and intentions with consumers across the globe. We will use social media, and open meetings, inviting people to work with us to identify specific areas and topics that the conference might cover. For example, topics might include shared decision making, preventing over-diagnosis and over-treatment, research prioritisation, patient engagement and involvement in research or international partnerships. We will need to think about different types of activities and ways of working together, how best to meet people’s needs, and what could help to make the event a positive and productive one for all who participate. We will also work with the Cochrane Community to help us shape the event. We want to make this an inclusive, inspiring and accessible event. We also want to build on our existing work involving and engaging with consumers, in order to take our engagement to a new level once the event is over. Work that develops Cochrane’s role in making healthcare decision-making even better. We began with two meetings, in Oxford and Edinburgh where we discussed how to make our conference a ‘Patients Included‘ event. For practical reasons, we sought people for these from the geographical regions of the Thames Valley and Edinburgh. There was also the opportunity to participate in two webinars, which aimed to replicate, as far as possible, the face-to-face meetings. We also invited discussion and suggestions through a tweetchat. Cochrane is a leader in research outreach with Task Exchange, Cochrane Crowd and through internet sites that bring to life complex research results with Visually Cochrane and Evidently Cochrane. The next step is Patients Included conferences where health care consumers and world leading researchers meet for innovation, problem solving and design co-construction. The time is ripe to reason together for effective advocacy that goes beyond the patients sharing experiences and writing plain language summaries to the real power shift of co-created research that changes clinical practice and delivers effective community changing outcomes. Including patients in everything you do is the only way to ensure a better patient experience. As people with dementia are forever saying, “Nothing about us without us” – which seems to sum it up nicely. Healthcare today is a profoundly mutual enterprise with health expertise residing outside as much as inside medical circles. Patients are increasingly demanding better evidence, better presented, better explained, and applied in a more personalised way. Healthcare needs to reshape itself around a new paradigm of patients and their care-givers who are better informed, motivated, and engaged in their healthcare and eager to bring their experience and expertise to designing better care. As a person who has had a life-changing stroke, I welcome any provision which encourages patient involvement in the development of research and health care. Michael Seres (@mjseres), Founder 11Health, EPatient advisor Stanford MedicineX, Crohn’s bowel transplant and cancer patient. I am absolutely delighted that Cochrane has taken the bold and brave decision to co-design, create and deliver an event with patients right at the centre. This opportunity to contribute as an equal where at the heart is an initiative based on mutual respect, empathy and trust is really inspiring. As a Patients Included event I very much hope this will act as a catalyst to change the healthcare dynamic where patients really are part of the future of healthcare. I really welcome the plans to make the Edinburgh Cochrane Colloquium a #patientsincluded event. I have no doubt that an increase in participation by more diverse patients and the public in designing and participating in the Edinburgh meeting will take it in new directions and create broader spaces for discussion, comment and learning. My experiences of #patientsincluded events have been very positive with thoughtful, surprising and sometimes challenging discussions, in the spirit of collaboration and mutual respect. The timing of this opportunity is perfect – all parties involved (consumers, researchers, funders, policymakers) have, over the past few years, recognized the benefits an approach such as this brings to all concerned. Not to say there won’t be challenges, but this is a golden, global opportunity – for all. In cystic fibrosis, the patient and clinical community are working together to decide on the top priorities for clinical research, to co-produce research protocols and to get the research done. “Cochrane for all” (Edinburgh 2018) will be an important milestone on the path to shared decision making in health, where health professionals and patients strive to make the right decisions together, guided by the best evidence. I love the idea of healthcare consumers co-designing, co-producing and co-presenting the 2018 Cochrane Colloquium. What a wonderful opportunity to learn from each other and make it a fruitful event for all. A challenge we will have to face in the process is how to include healthcare consumers from non-English speaking countries in a meaningful way, enabling their voices to be heard as well. To the list of topics above I would venture to add communicating with healthcare consumers (a patient-led workshop), patient important outcomes, as well as a whole plethora of workshops for healthcare consumers on finding/reading/applying reliable evidence. I’m sure this event will enhance Cochrane’s reputation as a consumer-oriented organisation, and lead to improved healthcare. Well done Cochrane for taking up this exciting challenge! Come and join us – help us to spread the word … evidence based health information such as Cochrane reviews are developed to inform people making decisions about their health. We welcome active consumer involvement in all Cochrane activities so that health information can be designed in a way that it is easy to find, covers the most important topics, is easy to use – and reliable. We believe that patient and public involvement is essential to all our research, including our systematic reviews, but we find that there can be real challenges faced by researchers when it comes to involving patients and carers in a meaningful way. We want to learn about practical steps that we can take to ensure that we create the best possible opportunities for involvement which can impact positively on the relevance and value of our research. This Colloquium will be a fantastic opportunity to do this, and we look forward to coming, sharing our experiences of involving people in our systematic reviews and learning from others. Join the conversation on Twitter on #CochraneForAll with @CochraneUK @RMEngagement (Richard Morley) @martinjburton and @SarahChapman30. Please note, the survey is now closed and suggestions have been passed to the conference planners. Ideas and comments can still be made on the blogs about Cochrane For All and by connecting with us on social media. Page last updated 22nd November 2017. I have known Richard Morley for just about about four months. First of all online and secondly when we met at the Global Evidence Summit in Cape Town South Africa from the 12 to17 of September 2017. In fact I recommend his professionalism and dynamism in carrying out tasks. He is sociable, level headed and listens keenly. It has been nice working with your Richard and we look forward to doing more if the means provide. Thank you so much Cletus. It was a real pleasure to meet you in Cape Town and I hope we can continue to work together in the future! Thank you for your enthusiasm and commitment! 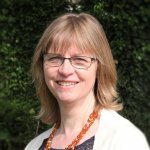 My name is Philippa Hobbs, and I joined Cochrane as a volunteer peer reviewer for the breast cancer clinical trials group, after surviving breast cancer and borderline ovarian cancer operations and treatment in the search to be well informed and ‘keep abreast” of research!. Having Cochrane as part of my team as a patient in recovery gave me access to knowledge which continues to allow me to work WITH healthcare professionals. I would have liked to have been offered Cochrane as part of my entire breast cancer journey from diagnosis. Furthermore, as a MOTHER, MOTHER-IN-LAW and HOME-MAKER I would have liked to have been offered Cochrane many years ago so I could have had easy access to trusted evidence in many healthcare areas, as FAMILY HEALTH could be accessed from the KITCHEN BENCH in HOMES. ACCESS TO KNOWLEDGE – HEALTH CARE KNOWLEDGE I BELIEVE IS A HUMAN RIGHT. Well done Cochrane for initiating a conference WITH PATIENTS, a basic requirement, overlooked for far too long!. I hope universities, hospitals, pharmaceutical companies, schools, supermarkets, and shopping malls, Foundations, Societies, all unite and globally offer the idea of ‘everybody’ everywhere, every day, NEEDS HEALTHCARE, therefore promote PATIENTS as part of the team. Well done Cochrane for driving this initiative. Thanks for sharing your experiences Philippa – and for contributing to Cochrane! We are really excited about this next step in increasing patient and carer involvement in our work, both at the conference and beyond it.